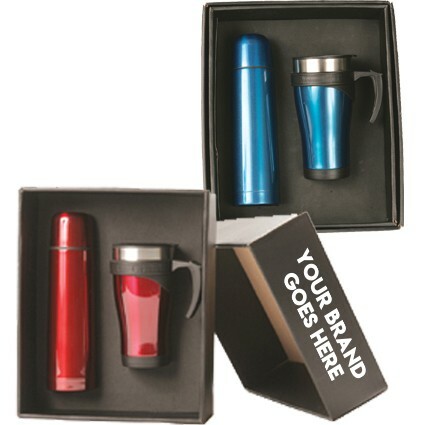 Get these beautifully designed set for your brand promotional campaign and enjoy fruitful results. The classy set is designed for those who enjoy high-class materials. Available at a much affordable price, treat your beloved clients like royalties by giving them this 500ml vacuum and 450ml double wall mug set. 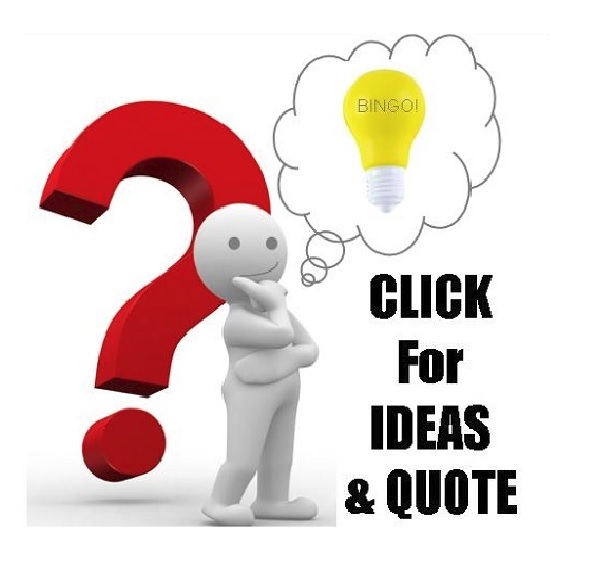 The products are also available for custom laser engraving of your beautiful logo. Make this beautiful set carry the name of your organisation with pride and show your clients that your business is only concerned with high-quality services. The set is suitable for winter as the flask can trap heat and maintain the temperature of the beverage for a significant amount of hours. 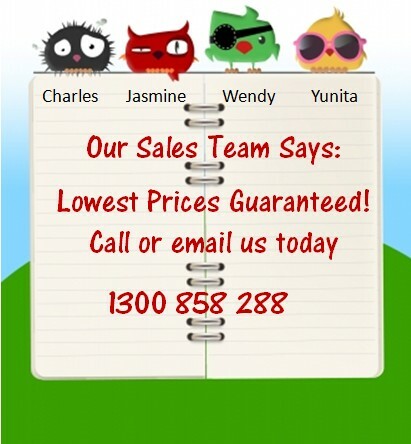 It is also suitable for those who love to travel making the products a best fit for travel agency companies. The set is available in shiny red and royal blue. 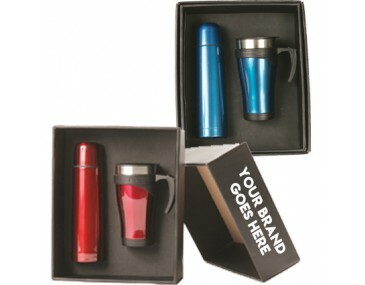 The lid of the mug comes in gunmetal colour and has got a rubberistic grip right on the neck of the mug. The vacuum flask takes the shape of a bullet and has got a twist to close lid which secures a no water drip experience. This makes it safe to put the flask in your bag without the fear of it spilling. 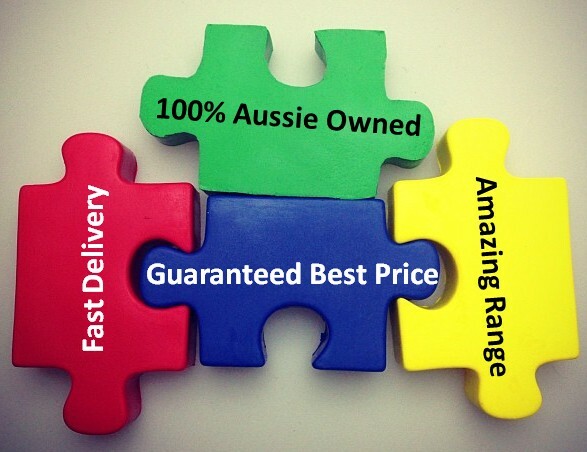 Upon the approval of your purchase and artwork, delivery of the items is carried out within 2 weeks only in Australia. 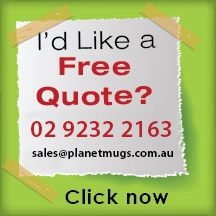 All prices exclude GST and a custom laser engraving of your logo. For each order placed, a branding set up fee of $60 is applied.